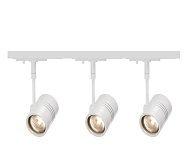 Track Lighting is at the core of our portfolio of lighting solutions. 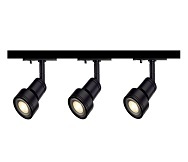 Track Lighting Kits are among the easiest to install options in this segment. We have put together light fittings and accessories based on our most popular sellers. Using these kits, you can easily connect track lights to the mains. 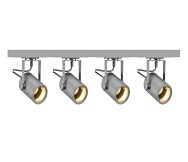 We offer you a wide selection of Track Lighting Kits in different shapes, designs, tilt ranges and mounting systems. These kits come equipped with all parts required and are available with relevant LED spotlights. We can adapt any of these kits to suit. Please call with any questions.